Ensembl 69 has been released! The latest Ensembl update (e!69) has just gone live! Human dbSNP release 137 and Human structural variants from COSMIC release 60. 1000 Genomes phase 1 data for the structural variation set and new studies for Human and Mouse. DNA methylation data from multiple human and mouse cell lines (including ES cells for both species) and data from ENCODE. Updated HAVANA manual curation for Human and Zebrafish and the first inclusion of HAVANA manual curation for Ensembl genes in Pig. Other exciting news for this release is a new scrollable region view (supported by most updated browsers). Find out more about it in this video. We offer a new display for species with phenotype data (currently only Human) which lists all available phenotypes in alphabetical order. This will make it easier to search the website for a phenotype or disease of interest. The species home page has been redesigned to incorporate more links to our content and help you quickly find what you need. The original page is still available under the “More about this gene build” link under the “Gene annotation” section. We have also added a gene Gain/Loss tree view produced using CAFE analysis, and an improved legend for gene trees to make them clearer. We are happy to introduce two new species for this release. The Ferret (Mustela putorius furo) genome was produced by the Broad Institute. 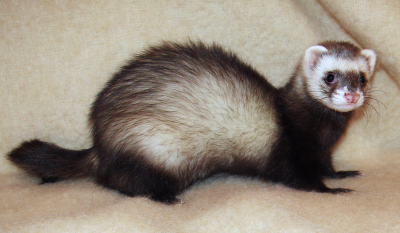 Ferret has become an important biomedical model for respiratory diseases such as influenza (including H1N1), cystic fibrosis, and SARS. We have generated BAM files and RNASeq-based gene models for a range of samples including embryo and adult tissues, and tissue samples post infection with influenza. The Southern Platyfish (Xiphophorus maculatus) assembly was provided by the Genome Institute, Washington University School of Medicine and comprises 20,640 unplaced scaffolds. Platyfish is of interest for development of malignant melanoma when crossed with other members of the Xiphophorus family, and the family is used as a model for the study of hereditary cancer. RNASeq data was included in the genebuild and we provide a BAM file and a set of RNASeq-based gene models.